Last month Samsung launched its new Galaxy A30 smartphones along with Galaxy A10 and the Galaxy A50. The three devices were launched in India in Red, Blue, and Black colour options. The first sale of the three devices including the Galaxy A30 started earlier this month in India. However, the Galaxy A30 was only available to purchase in Blue, and Black colour options until today. And now the Galaxy A30 Red colour variant is finally available in India for sale via Flipkart and Reliance Digital online stores for Rs 16,990. 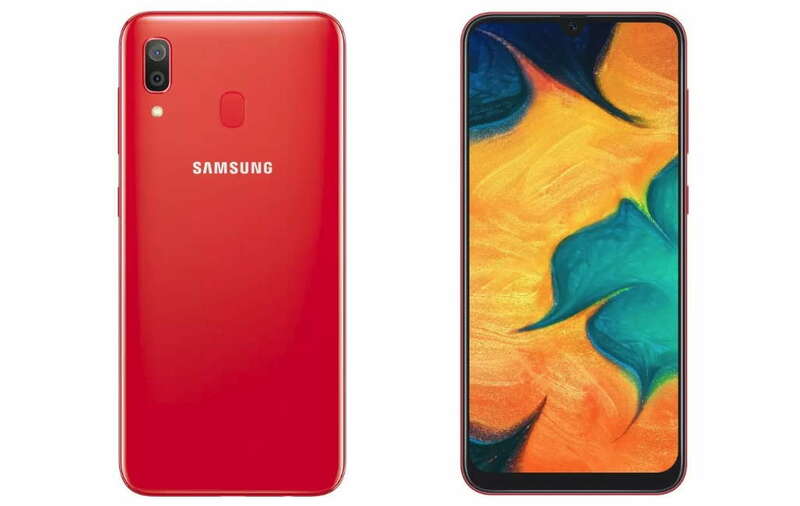 The Red colour variant of the Galaxy A30 is almost identical to the existing Blue and Black colour variants. However, we don’t have any details yet, that if the new Red color variant of the Galaxy A30 will also be available offline or not. Galaxy A30 features a 6.4-inch FHD+ (1080×2340) Super AMOLED infinity-O display with waterdrop Notch. It is powered by an Exynos 7904 processor coupled with 3GB + 32GB and 4GB + 64GB RAM and storage option. The device includes a 4,000mAh battery with 15W fast charging support and USB Type-C port. On the camera side, the Galaxy A30 comes with a dual rear camera 16MP+5MP camera with an ultra wide-angle lens. It ports a single 16MP front camera with f/2.0 aperture.